The back story: Since its debut in late 2009, Verizon&apos;s flagship Android phone, the Droid, helped push Google&apos;s mobile platform from the fringes of the smartphone scene directly into the mainstream. However, it was last year’s Droid X and Droid 2 that set the mold for today’s Android smartphone market: industry-leading specs, ever-sleeker designs, and affordable price tags. 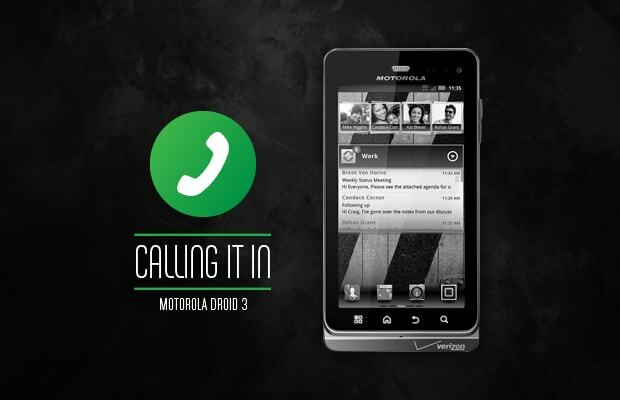 Motorola looks to keep that success rolling with the newest addition to the Droid series: the Droid 3. Equipped with a dual-core processor, new business-centric and data-protection features, and, best of all, an improved keyboard: Does the Droid 3 have enough to take on Verizon&apos;s current Android heavyweights,the HTC Thunderbolt and Samsung Droid Charge and walk away with the gold? Or will it settle for the bronze? Either way, it’s walking out with something. Question is: What? • Business- and communication-ready: Powered by a 1GHz dual-core and the latest software (Gingerbread and MOTOBLUR), the Droid 3 bears all the necessary tools to handle corporate and personal matters. Performance wise: apps launched instantly, web-browsing sessions were quick, and menu navigation was speedy. Custom widgets like Social Networking and Universal Inbox keep you busy with recent updates by integrating all social media messages and e-mails into one place, respectively. On the corporate side, pre-loaded apps such as Citrix Receiver grant mobile access to your business applications and documents, while GoToMeeting allows users to attend meetings straight from their phone. • Finally! A great physical keyboard: One of the biggest complaints about the first two Droids was the stiff and uncomfortable keyboard. But Motorola proves the third time’s a charm as the new five-row QWERTY finally gets everything right. Like the myTouch 4G Slide, Moto’s typer measures at 0.5 inches thick, making it the slimmest mobile keyboard out. Each button brandishes a rectangular mold and soft-touch texture that makes messaging a sigh of relief compared to the Droid 2. Tactile feedback is superb and provides faster typing speeds. You&apos;ll also find directional and shortcut keys (voice command, search, etc. ), as well as a dedicated number row at the top for easier number crunching. • Larger screen and improved design: The 4-inch qHD display generates over 16 million colors and produces stellar pixel density (540 x 960). Images are sharp and YouTube videos look great. Touchscreen functionality is also on-point. Motorola combines the best design elements of the Droid series, keeping intact the solid form factor of the Droid 2 and incorporating the smooth rubberized back shell of the Droid X. It’s larger and slightly heavier than the previous models, but it’s still a great feel in hand. • Global and wireless capability: Like its predecessor, the Droid 3 supports worldwide roaming capabilities and lets users make international calls to over 200 countries, with 3G support for 125+ countries. The device also comes DLNA-enabled, meaning you can wirelessly stream content (music, videos, etc.) onto other compatible devices, and it supports up to five devices via hotspot capability. • Advanced security features: You can breathe easy knowing you data is protected by complex password support, remote data wipe, and device and SD card encryption. Verizon also offers the option to backup data onto its cloud-based server courtesy of the VCAST Media Manager (for $1.99/MB). • Strong battery and bigger memory: All of the Droid models have suffered from weak battery power. Not this phone. We managed to pull an estimated nine hours of heavy usage out of its 1500 mAh battery. The device recharged quicker than we anticipated, too, as we hit the streets with a full bar in no less than an hour. Under the battery you’ll notice a micro SD slot that can support up to 32GB, accommodating the 16GB of on-board memory and 512MB of RAM. Note: Motorola’s spec sheet lists the battery as a 1540 mAh, but it&apos;s actually a 1500 mAh. • Software issues: Motorola&apos;s made improvements to its UI (reference our Droid X2 review), but there were still some bugs present in the latest version of MOTOBLUR. The phone crashed when we tried accessing the mobile hotspot on several occasions and the Voice Commands app struggled to recognize our requests. HD video playback and 3D games like the first-person shooter NOVA occasionally stuttered. And running several apps in the background caused performance lag. • Another 4G-less Droid: Considering the device&apos;s global and business-centric features, it’s surprising to see the Droid 3 not running on Verizon’s lightening-fast network, especially since the previously released Samsung Droid Charge comes 4G-enabled. 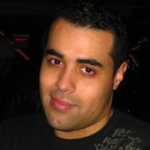 • Customization restrictions: Thinking of uploading custom ROMS or kernels? Guess again. The phone comes pre-installed with a locked bootloader and can turn the device into a brick if tampered with. Verizon also requires you to be a network subscriber for more than 60 days, and have good financial credit (that&apos;s a first), in order to unlock the pre-installed SIM card. Final Say: The Droid 3 isn’t only the best handset in the original Droid series—it’s also the true enterprise phone. Alongside its paramount business apps and communication widgets, features such as international roaming and enhanced mobile security make the device a must own for corporate types. Most importantly, Motorola has redeemed itself as the kings of mobile hardware by creating one of the freshest and most durable physical keyboards on the market, relieving us of our nightmares with the Droid 2 QWERTY. But it’s the lack of 4G support and Moto’s unpolished software that rank the Droid 3 below the Thunderbolt and Droid Charge as the network’s best Android phone. And when you think about, still, that’s some pretty good company.